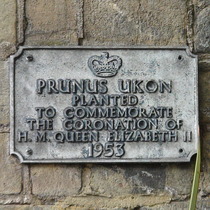 Prunus Ukon, planted to commemorate the coronation of H. M. Queen Elizabeth II. 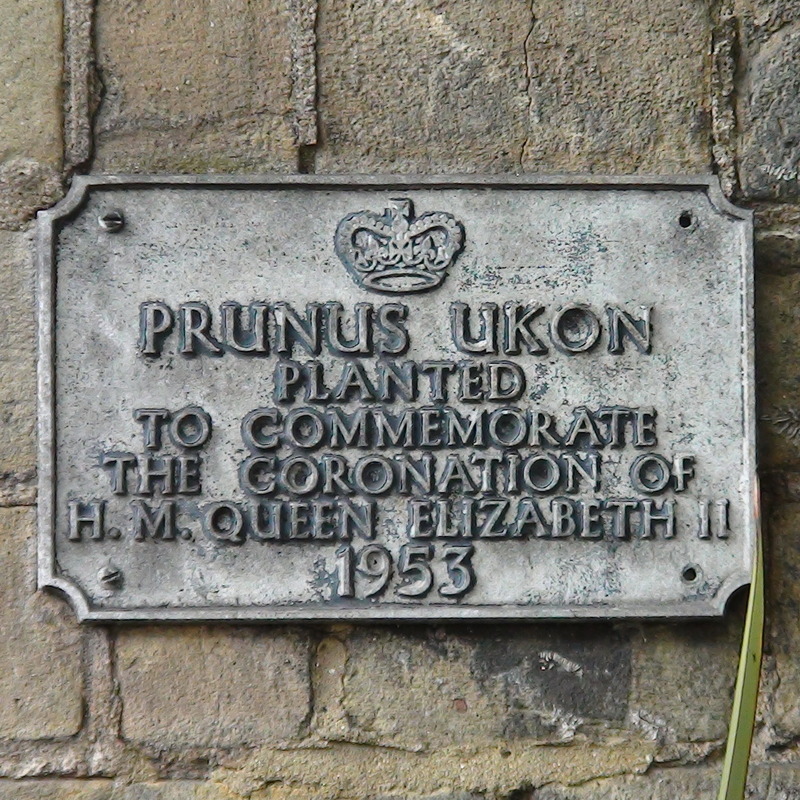 The Prunus Ukon is a flowering cherry tree and, know-nothing gardeners though we be, we can say with certainty that there is not one of these near this plaque. We learn that they have a short life-span, up to about 50 years, so our Queen's reign has outlived the tree. Long live the Queen, indeed.